Going live September 18th! Come back here at 11 AM EST when it goes Live. Video Traffic Genie 2.0 is a software app that discovers expired domains that exist in the description box under Youtube videos. This is a great opportunity because these expired links (domains) are getting traffic that you can easily tap into -by simply registering the domain yourself and monetizing the traffic to it as you like. And there are a ton of expired domains inside Youtube descriptions, and more domains are expiring all the time, so this a golden opportunity for marketers like us to scoop these domains up. The only problem is that we need to find these expired domains before we can register them. Video Traffic Genie software makes finding those domains point ‘n’ click easy. Run the software, then scoop up these expired domains and forward them to any site we like e.g. an affiliate link, an adsense site we set up, amazon store, etc. to monetize the traffic. Traffic generation doesn’t get much easier than this. Check out my video review of the software and watch me do a demo of the software in action! In fact, I was surprised to find 2 awesome expired domains while making the video. FRONT End Product – The front end Software has two options – Lite and Pro. The Pro version is the obvious choice as there are a ton more features than the lite version and the price difference is negligible. This software, as explained in the review will uncover expired domains that exist on Youtube so you can register them and use them for traffic to any site or page you like. OTO 1 – Video Traffic Genie “GOLD” version. The GOLD version has a few Exclusive and powerful features like the “Whale Finder” which I used to find the domain name unigirlusa.com, as you can see me do in the walk-thru video above. Plus Gold has the option to add unlimited API keys (if you intend to run a lot of searches) and has a Whois link for each domain so see domain info. I think this software is great as it is, but to sweeten the offer just that little bit more, here are some extra bonuses I’m throwing in if you choose to buy. There is a bundle of standard bonuses that every customer will get, and I’m throwing in some unique bonuses too for anyone who buys through my link. You’ll see these standard bonuses that every customer will get. They’re good for what they are and supplement the software. Check them out below. Your download for this bonus can be found on the Warrior plus product access page. If you decide to get either one of the upsells, I’ll send you access to a Lifetime membership at Automated List Profits . You can see the details of the membership here at SqueezeKits.com ($147 Value). 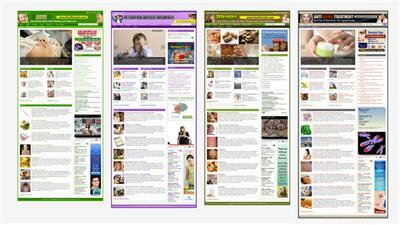 In short, you get the whole back catalogue of PLR reports and squeeze page kits. Ready to grab Video Traffic Genie 2.0 and your bonuses? This is really a nifty piece of software that any type of marketer or consultant can use – or anyone looking for ways to increase traffic without a lot of effort! There is a TON of free traffic to be had from the expired domains on Youtube and Video Traffic Genie 2.0 makes it easy. And remember that domains are expiring every day so this won’t go out of fashion any time soon. Video Traffic Genie 2 gets my two-thumbs up. Any marketer trying to get more traffic (which is every marketer) can use this and get results. It’s a quality tool put together that actually works. If you’d to buy your copy and get my bonuses, click the big yellow button below. p.s. If you have any questions, please leave a comment below!